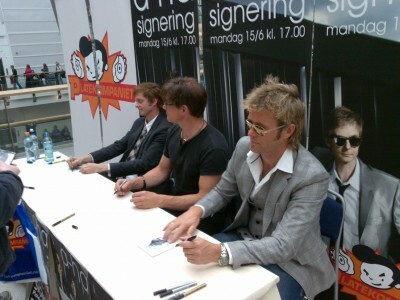 a-ha have just had its world premiere on their latest and last singel on Norwegian radio. It’s called Butterfly, Butterfly (the last hurrah) and is written by Paul Waaktaar-Savoy and produced by Martin Terefe. My first impression is thas this is a good a-ha singel. You can listen to aha – ‘Butterfly, Butterfly (the last hurrah)’ HERE. The singel will be available as a digital download from July 5. Thanks to warnerwall.no, you can now listen to a-ha’s ‘Butterfly, Butterfly (the last hurrah)’ in the clip under.